Nigeria before the coming of the British Colonist consisted of many towns, villages, Chiefdoms, Kingdoms, ethnic groups and city-states. Each of these units was living peacefully. Each of them maintained their autonomy and abided by their traditions and values. They also maintained good intergroup relations: exchange of trade, intermarriages, and cultural affiliations, especially during festivals. Sometimes, they found themselves disagreeing on some issues which usually led to conflict, conflict management, and conflict resolution. In fact, the people had their government, Economic system, religious system and social organization perfectly working in line with their culture and tradition. All these were disrupted by their contact with the Colonist who systematically disorganized and disintegrated them and finally brought them into total subdue and subjected them into their control and governance. In 1914, the British Government completed its assignment of conquest and came up with what they called the Amalgamation of Nigeria. It was on that fateful day 1st January 1914 that the different autonomous units finally lost their hitherto political and cultural rights and collapsed into the governance of British monarchy. The clear indications of the British interest in Nigeria came in 1851 when John Beecroft bombarded Lagos. Since the abolition of the slave trade, the British government had been searching for a good way to end the slave business and introduce a legitimate trade, especially in Africa. It should be noted that the British’s reason for appointing Beecroft was to put an end to the obnoxious slave trade. Scholars have argued that it was also to advance the course of British interest to find and secure a stable market for the product of the increasing industrial goods occasioned by industrial revolution. There is no doubt that the British Government actually desired to put an end to slave trading. The truth remains that they equally wanted to protect the economic interests of her citizens. The events that followed revealed their economic and political desire. When Beecroft Bombarded Lagos in 1851, he restored King Akintoye who accepted to sign treaties with the British: abolishing the slave trade in Lagos, guarantying protection to British merchants and missionaries and respected all promises to carry competing seriously with the Portuguese. 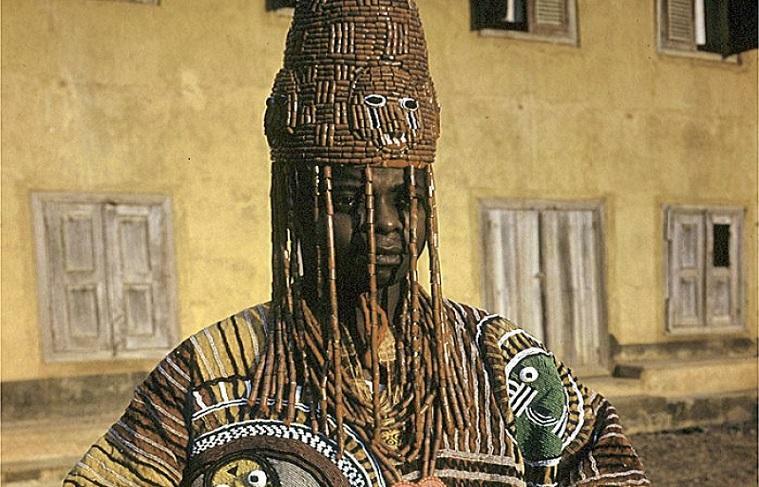 The reign of Akintoye was favorable to the British who flocked Lagos for legitimate trade. It is on record that 1853, a separate consulate was appointed to the oil River. The death of king Akintoye brought in leadership tussle in Lagos. King Dosumu who later took over the leadership of Lagos was accused by British of reviving slave trading. He was incapacitated to work owing treaties signed by Akintoye with British especially the treaty of 1852, which almost made the king of Lagos a British puppet. The treaty and fear that, the deported king Kosoko may come back in the event of loss of confidence by the British Government subdued King Dosumu. Possibly, his fear was that if the British Government lost confidence in him and withdrew their support, that king Kosoko might use the opportunity to strike. As a result, he decided to subject himself to British terms. In facts, before 1861, it appeared that Lagos was directly under the governance of the British. The annexation of Lagos in 1861 did not happen as a surprise. It was pre-planned by the British and it was the logical and inevitable consequences of the Lagos bombardment in 1851. Onwubiko (1973) added that “the explanation usually given by official British sources for the annexation is that the slave trade was being revived under King Dosumu and that the actions had become indispensable to complete suppression of slave trade in order to secure forever the free population of Lagos from the slave traders and kidnappers who oppressed them”. It should be noted that with the defeat and annexation of Lagos, the colonial master systematically made incursions into the native Yoruba land. With the fear of what happened in Lagos and due to the series of inter-tribal warfares in Yoruba land at that time, the British had their easy access into Yoruba land. They used all necessary factors including the Liberated Africans and Missionaries to gain their success. In the view of Asiwaju, almost all the towns of the Yoruba land up to Ilorin had fallen into the protectorate of the British. As elsewhere in Nigeria and other parts of Africa, two main methods of British imperial expansion in Yoruba land were treaty making and military conquest. But is spite of episodes such as the bombardment of Lagos in 1851 and the Ijebu expedition of 1892, it is especially important to emphasize that protectorate treaty with indigenous African authorities and a series of Inernational agreement with France, more than outright military subjugation characterized the process of British imperial established in Yoruba land. Previous articleAir trafficking: Why a total marginalization of Africa?